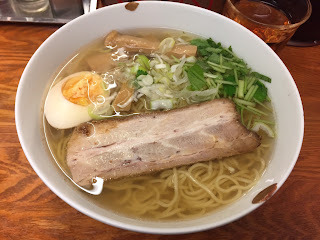 When I saw a friend of mine in Tokyo, we went to Men'ya Hyotto to try their ramen. It's in Yurakucho and we both have see the waiting line before but have never eaten there. On a week night, we got there a bit before 7:30 PM and there're about 7 people ahead of us. 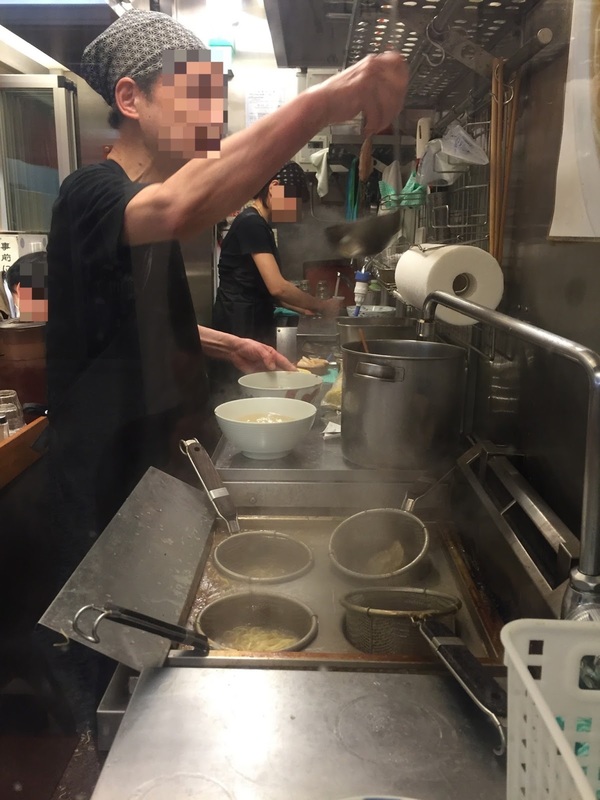 The ramen shop is small and only one L-shaped counter which can hold about 10 people. There's a vending machine to buy tickets first, then bring it to the table once you sit down. 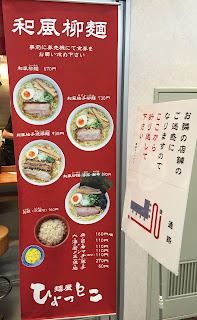 As it's my first time to eat here, I ordered the simplest item, "Wafu Ramen," which means Japanese style ramen. 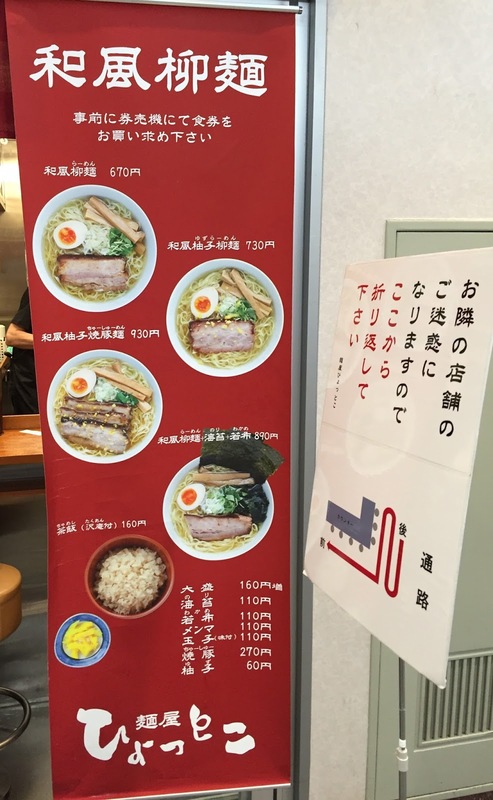 I'm used to seeing ramen in hiragana (らーめん) or in kanji (拉麺) but the Chinese character they used was 柳麺. I submitted this ticket at 7:38 PM, so the waiting time was about 10 minutes. In the small kitchen, they're preparing ramen efficiently. 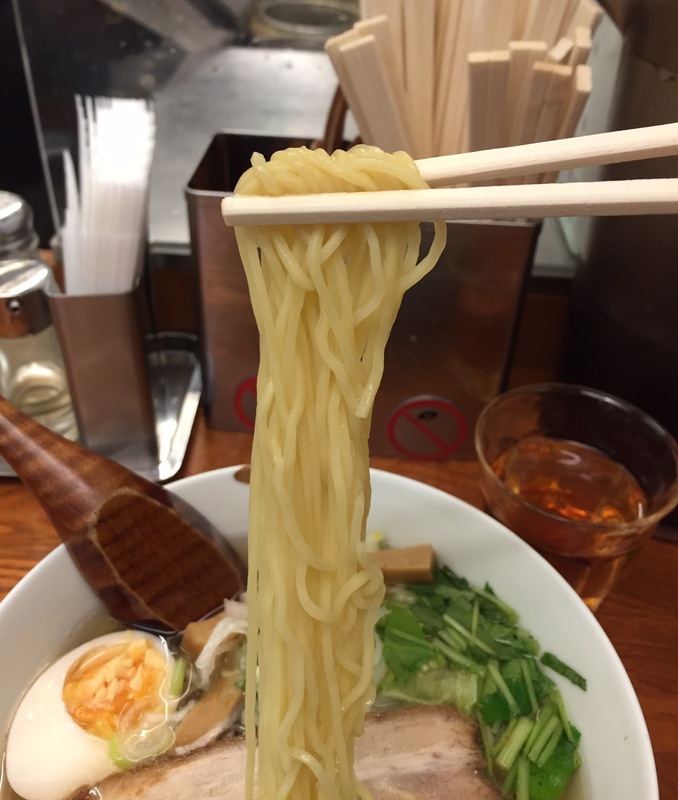 There're 4 holes with colanders to cook noodles. 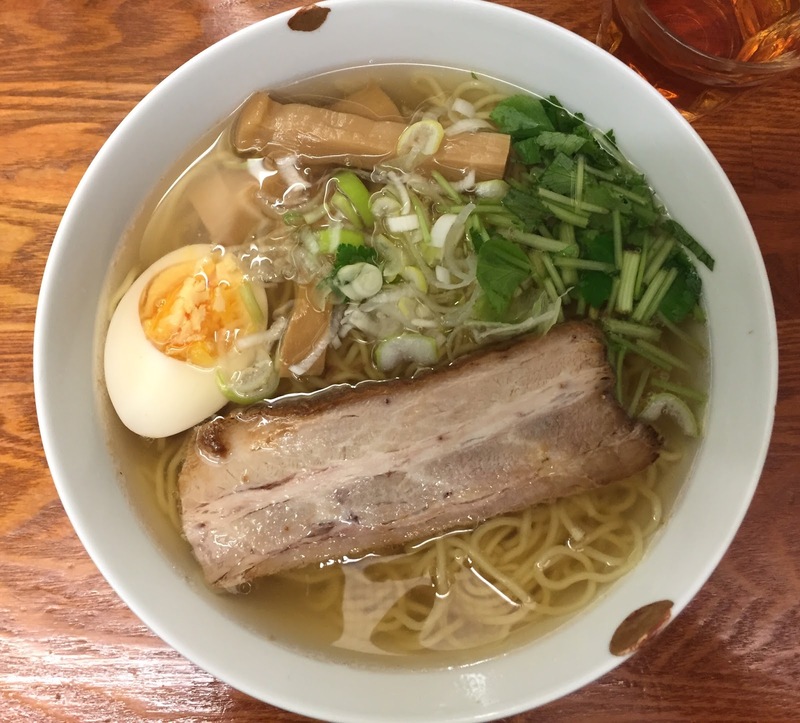 In about 2~3 minutes, Wafu Ramen was served. Each customer's bowl was different design. There's a half hard boiled egg with slightly moist yolk, chopped leeks, bamboo shoot, mitsuba (honewort) and a slice of char siu. 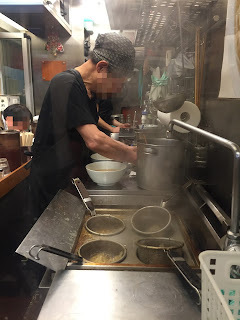 The fragrant soup was clear without cloud and had some light oils floating on the surface. It had a mix of fish and chicken flavor, and the fish flavor wasn't fishy but savory. 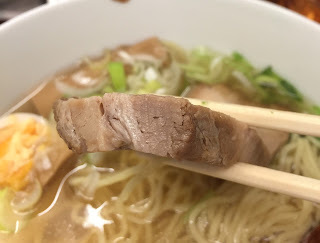 Though the soup was made with land and sea animals, it's so light while it's rich in flavor. The noodles were light yellow and silky, had some chewiness and were cooked al dente. The char siu was thick (about 2cm/0.78 inch), but it's very tender, juicy, and soft, and I didn't have to chew much because it sort of melted in my mouth. It didn't have pork odor and was seasoned well with soy sauce and sugar. * As long as supplies last.